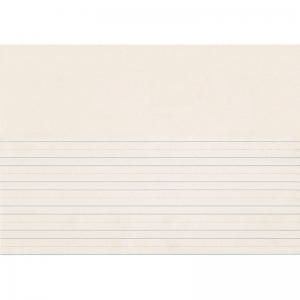 Clean white newsprint printed on both sides with 5-1/2" blank space at the top of the sheet. Ruled 7/8" the short way with a 7/16" dotted midline and 7/16" skip space. Measures 9" x 12". Includes 500 sheets per ream. Clean white newsprint printed both sides with 5-1/2" blank space at the top of the sheet. Ruled 7/8" the long way with a 7/16" dotted midline and 7/16" skip space. Recyclable. Includes 500 sheets per package. Measures 18" x 12". 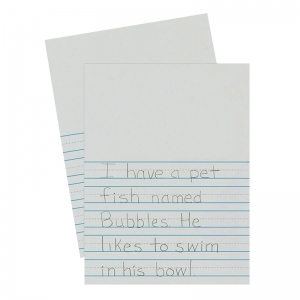 Standard grade, high bulk White newsprint paper in a pad. 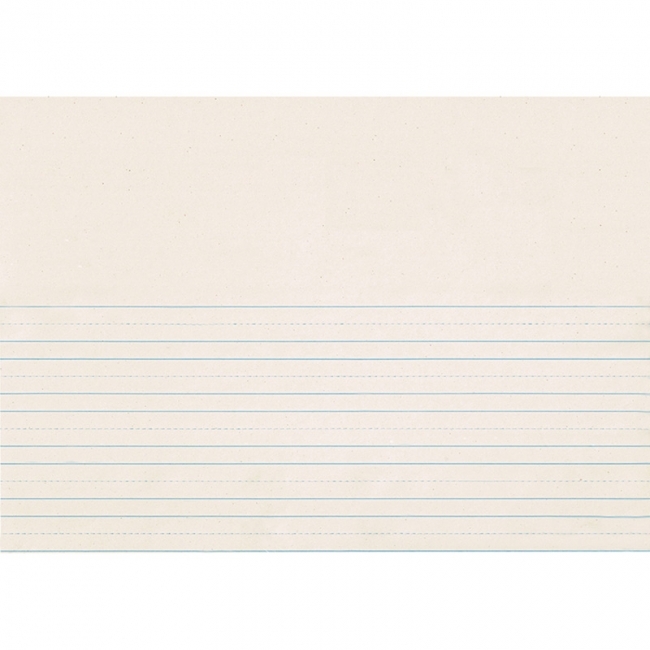 Perfect for gesture and preliminary drawings, and has a versatile rough surface. 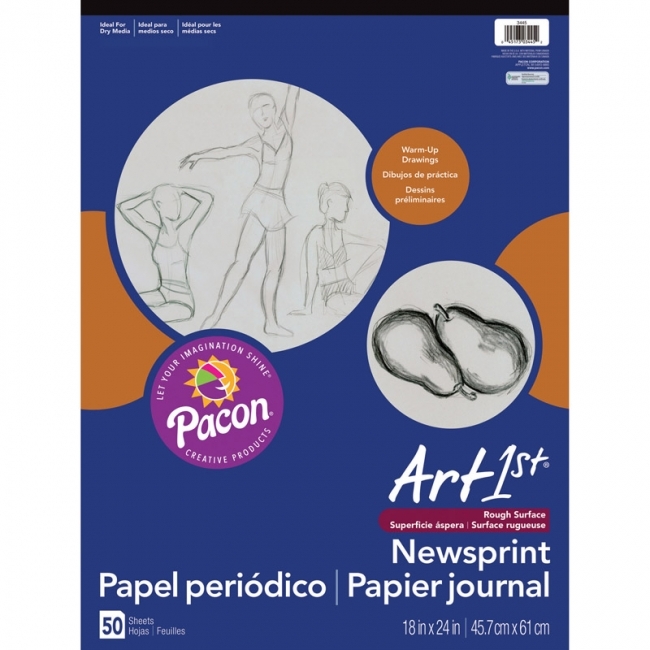 Includes 50 sheets per pad. Measures 12" x 18". 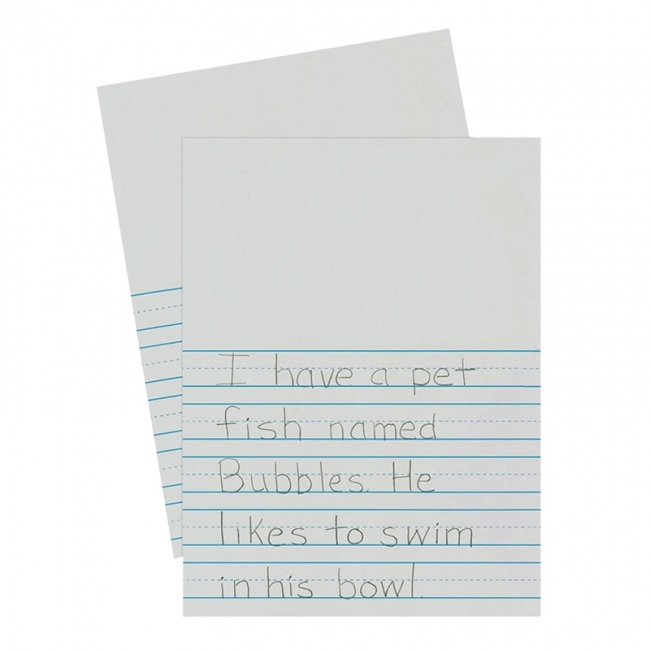 Standard grade, high bulk White newsprint paper in a pad. 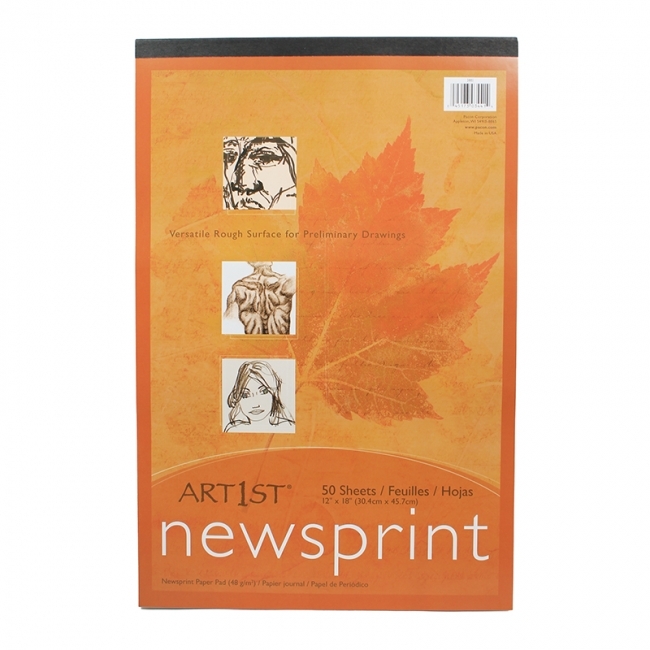 Perfect for gesture and preliminary drawings, and has a versatile rough surface. Includes 50 sheets per pad. Measures 18" x 24".